Home / FEATURED MERCH! / Primitive Primate Available Now! Primitive Primate. Meditating. Levitating. It doesn’t matter, because this primate is the PRIME APE. I originally called this one Primitive Possum of Transcendence, but now looking back on it, I think it looks more like a monkey. One cool monkey who can defy gravity and has a gross tail. Or is that his viscera? I hope not. 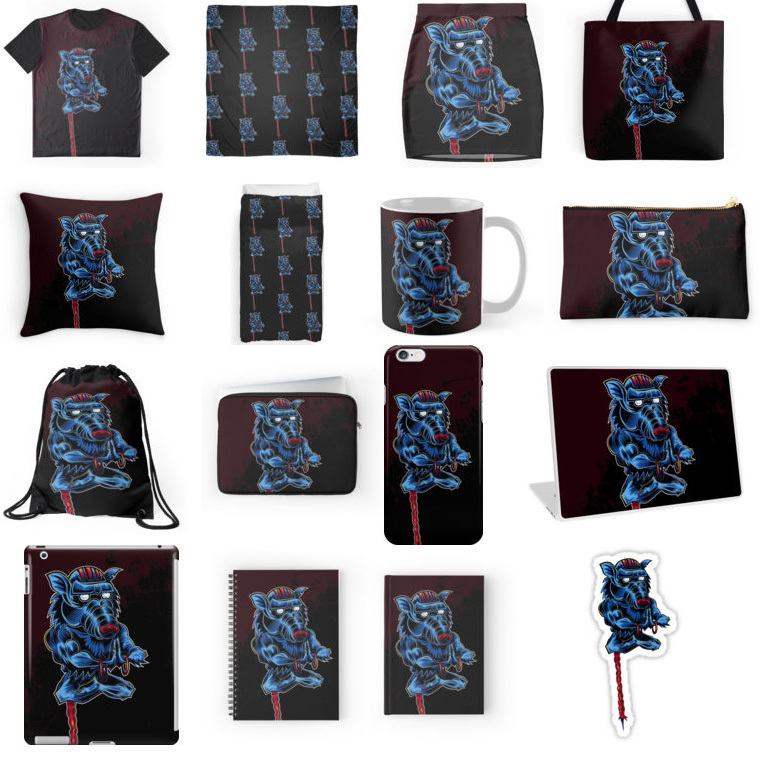 Primitive Primate is now available at the Redbubble shop, guys! Again, I’m changing the composition of this letter. Tried a more up close and personal approach. So close you can almost feel the zen. Saying “hey pal, can I get some of that transcendence?” And he’s like “not today, dude.” Sorry. I guess you’ll have to settle for a hardcover journal. I hear writing things down helps you clear your mind. Purifies that soul, you know? I remember working on this. I had taken a long, looooooooong break from the Awful Alphabet. And who should pop out of my skull gears? None other than this little fellow. Kinda reminds me of Dhalsim from Street fighter. I may have referenced him slightly. That guy was always my favorite anyway. Yoga flame! Yoga fire! Yoga fart! Heh, you get it. Anyway, check out Primitive Primate at the Redbubble shop now.